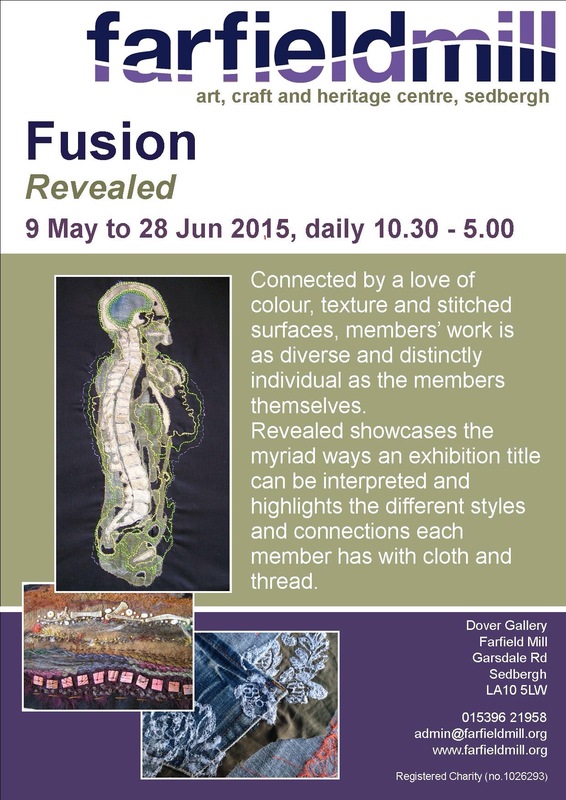 The new Fusion Textile Network at Farfield is stunning and there are a couple of other great shows there too check the website link for details! We went for a day trip on Sunday, starting with a muddy but colourful walk through farmland and bluebell woods. Hebblethwaite woodland is beautiful, a stream winds through a deep wooded valley, the ground blanketed with bluebells. Although the sheep in the adjoining fields were maybe a little too curious! Farfield Mill is a lovely Arts centre with a strong focus on textiles and weaving, there are artist’s studios, weaving demonstrations, a second hand bookshop, cafe and craft shop, alongside the exhibition spaces. It’s easy to while away an afternoon in there. However, we also nipped into Sedbergh, quiet on a Sunday afternoon after their Gala Day but still with lots of cobbled lanes, cafes, craft shops and second hand bookshops to explore. We tried out the Three Hares Cafe and enjoyed a lovely selection of home made cakes and pastries. This entry was posted in Uncategorized on May 18, 2015 by donnacheshiretextiles. 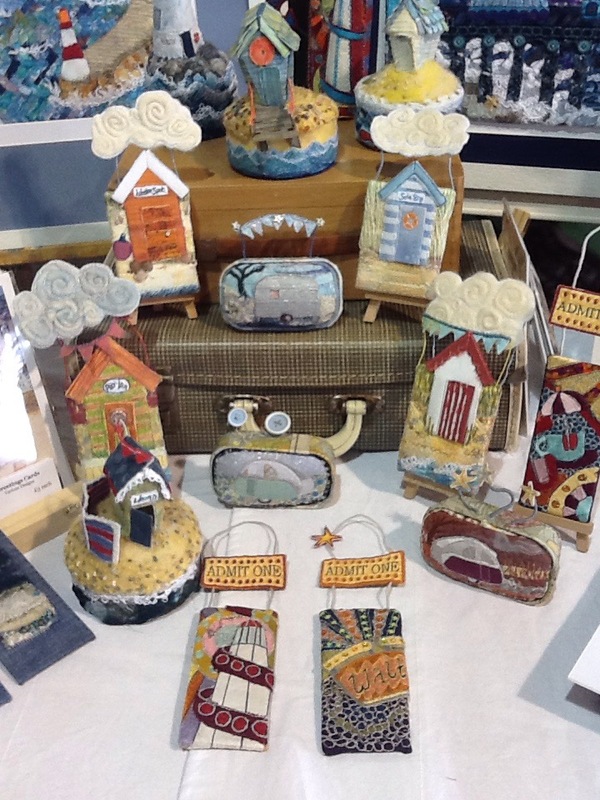 So this chilly bank holiday I am at the lovely Craft & Design show at the beautiful RHS Hyde Hall Gardens in Essex. It’s always lovely to get feedback on my work at these events. 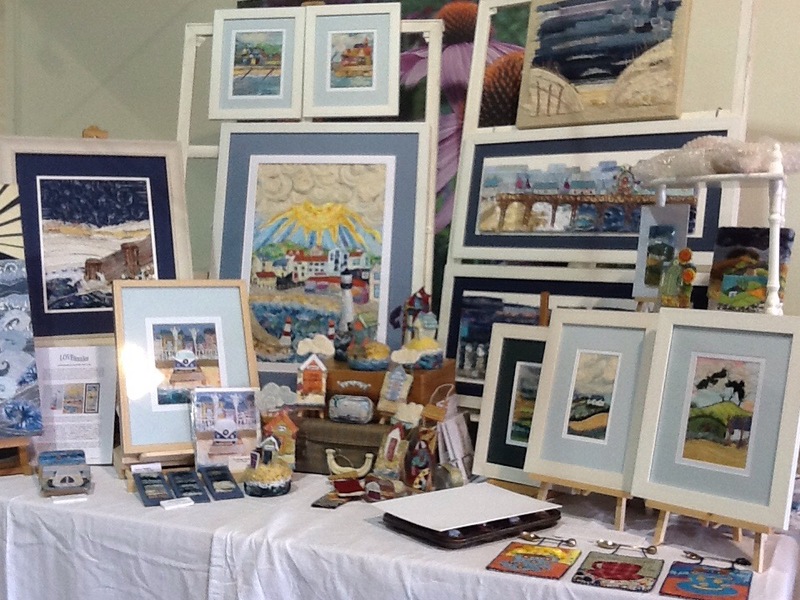 The lighthouse piece was very popular today and people also loved ‘Arran Breeze’ with the two hooded crows. Talking about the locations depicted always reminds me that we live on a small island- 300 miles from home I met people from Whitley Bay and Wallsend, and others who own a hotel on Arran! This entry was posted in craft workshops on May 2, 2015 by donnacheshiretextiles.